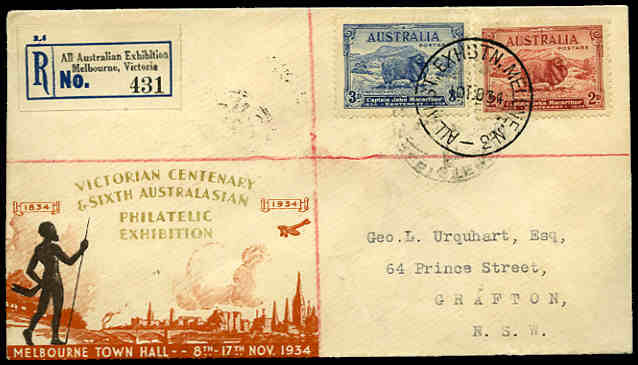 All Aust. Exhbtn. Melbourne N.3. 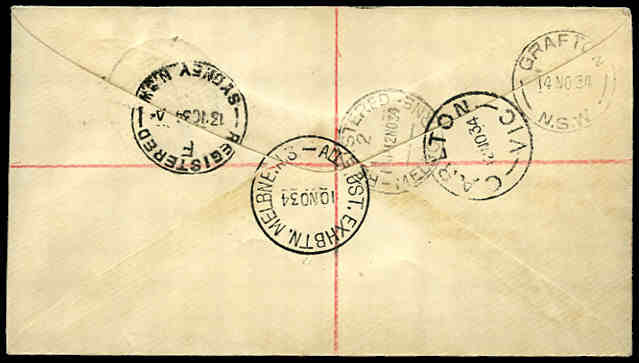 Special Postmark on Registered Victorian Centenary Philatelic Exhibition cover with Registration label including an extra cancel as a backstamp. Catalogue Value $500.00. 1987 Cup-Pex collection of 138 souvenir covers, Maximum cards and Aerogrammes in 3 albums, Solomon Islands 1987 America's Cup set of 50 MUH in special album (2) and America's Cup Winner gold stamp in special folder, plus range of related miscellaneous items. Some duplucation.